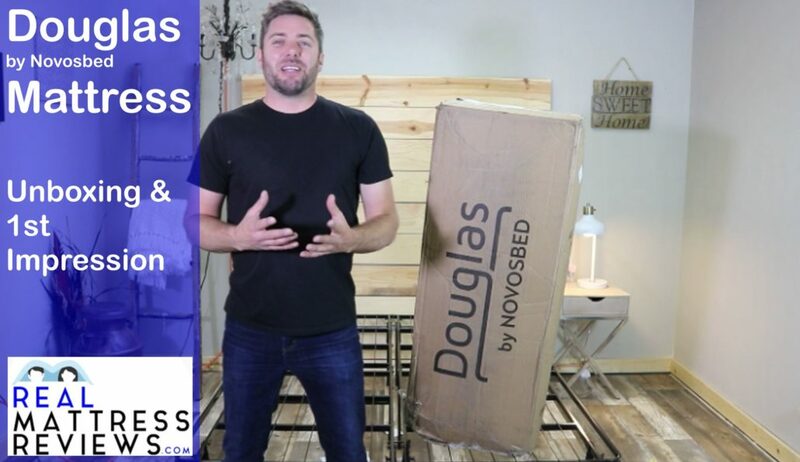 Douglas Mattress Review l by Novosbed | The best Canadian Mattress? Introducing the all Douglas from industry veterans Novosbed. The Douglas currently is only available in Canada. It is a thick, high end luxury mattress but offers extremely competitive pricing. The have set out to offer many luxury components and a very substantial/thick mattress but with a skinny price. It offers a 10 year warranty and 120 Night Sleep trial. Is it Canada’s Best Mattress? 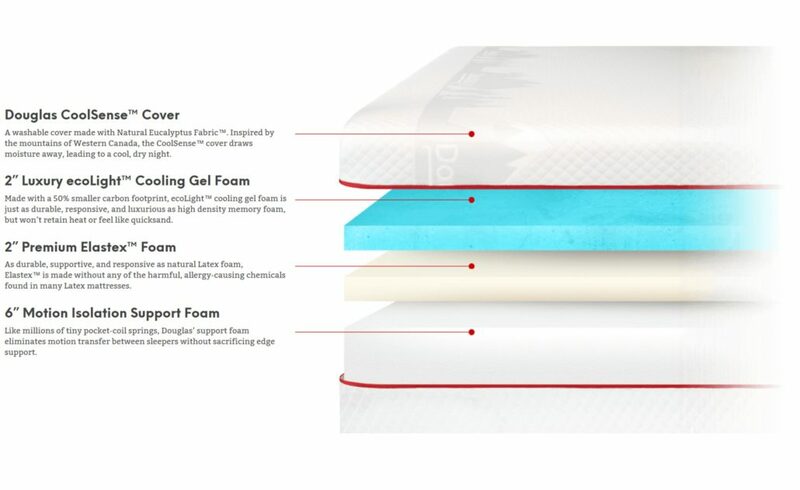 Marketed as a mattress made from eco-friendly materials, The Douglas is Novosbed’s full memory foam contribution to the Canadian mattress market. While their hybrid, the Logan & Cove, scored very highly – let’s take a closer look at its cousin, and see how it stacks up. It is worth mentioning that Novosbed has an A+ rating from the Better Business Bureau – so our standards are already set pretty high. The delivery of the Douglas mattress is FREE! However, they are exclusively available to Canadians unless you want to pay a little extra. It will be compressed and rolled up to fit into a cardboard box in a new method of mattress transportation that takes up less space and simultaneously combats CO2 levels. It will generally take 8-10 business days from the time that you order you mattress to the time that it arrives – but this could be sooner, depending on your location. Once you receive your mattress, we strongly advise you to take it into the room that you want to place it in before you open it. After you have it in the desired room, remove it from the box using a knife or scissors (but be very careful not to cut the fabric of the bed). Once free of plastic and box you can step back and watch your new mattress expand! Within no more than 24 hours your mattress should be fully expanded, but you can sleep on it before then. Enjoy your new mattress, safe in the knowledge that having it brought straight to your door hasn’t cost you a single cent! Want to go springless – much as we love individually pocketed comfortable coils; not all of us like it and some of us claim to be able to feel them even through all the layers in between. If this sounds like you then give the Douglas a try… it is close enough to be a hybrid while still retaining all the good qualities of a regular memory foam bed. You sleep beside a wiggler – If your partner moves around a lot at night then this might be your first choice. The layers and layers of differing densities of foam mean that motion is dissipated fairly well throughout, and you won’t be woken up every time your partner moves. If you are a hot sleeper then the cooling top ‘cover’ layer of this mattress might be just what you need. The patented fabric is highly breathable and specially formulated to steal away the sweat as you sleep. 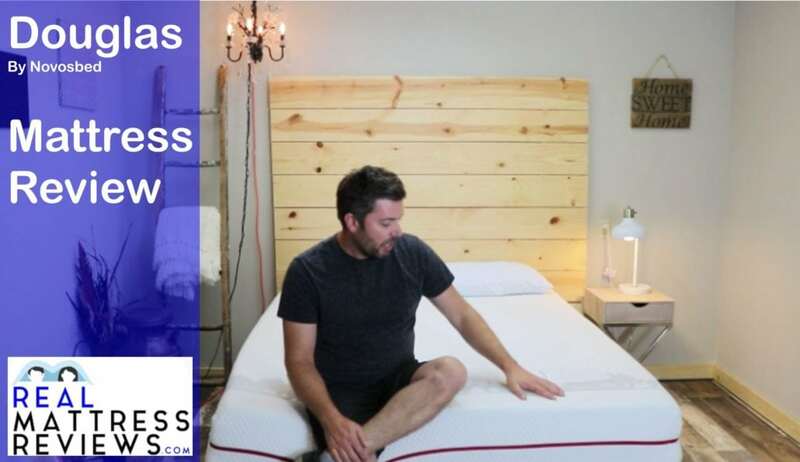 Are a side sleeper – this mattress offers best-in-class spinal alignment for side sleepers. Like a toasty warm bed – the cooling fabric is not so desirable to those who like to layer on the blankets and turn the heat up! If you hate sinking in to your mattress then perhaps you should try a hybrid instead of a full foam mattress, as they tend to provide a bit more bounce that stops the bed from swallowing you. Like to buy your bed from a retail establishment. Novosbed are exclusively online and have no stores, so you can’t really have a sit on it before you buy. 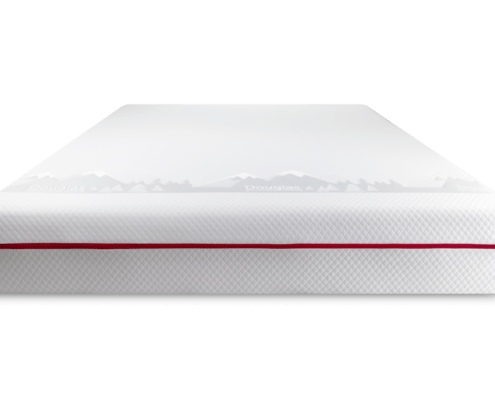 Want a very soft mattress – this has the above medium firmness rating that means it will probably be too hard for you, even although it is a memory foam mattress. Customers are loving the comfort level and the feel of this mattress. One or two have said that it was a little firm for their liking but, like the Logan & Cove, this mattress has a firmness rating that is slightly above average. Consumers with back problems said this was the best nights sleep they had ever had – and it blows what we know about memory foam mattresses out of the water. They are supposed to be so soft that you mould and sink into it; but with the Douglas the premium quality foam layers are high density and made for durability… you simply won’t get thrown about like you might on a spring bed. This mattress provides plenty of pressure point relief and is firm enough to support you in all of the right places. If you like a soft mattress then this probably isn’t the one for you. There is a little sinkage with this mattress but that is mainly due to its memory foam materials which hug you inwards without swallowing you whole, as some beds might. The Ecolight material cover is made from a blend of recycled Eucalyptus tree pulp and other natural fibers. 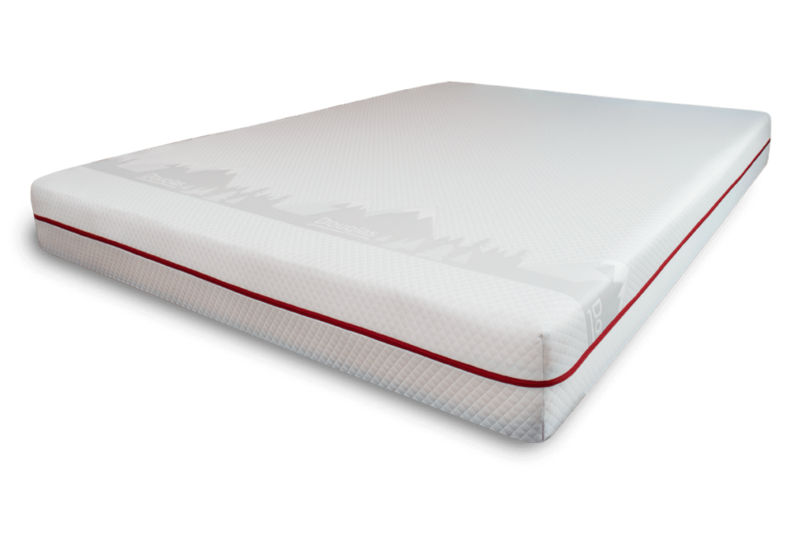 It is highly breathable, sleeps cool and allows you to protect your mattress in the long term. It is also removable and machine-washable, both features which we love. When you remove the plastic and box from your new Douglas mattress, you may notice that it gives off a slight “new mattress” smell. “off-gassing” for me is a slightly misleading term, because no matter what brand you are looking at they are going to have a smell. Natural or organic mattresses tend to give off the most smell, contrary to the popular belief that they will smell the least. A smell is normal and, no matter which brand you buy, please remember that there will be a smell. I associate it with the smell of new shoes or a new car. In most cases the smell will either have dissipated or become incredibly faint 12-36 hours after unpacking your mattress. Once you cover it with a mattress protector and some fresh sheets there will be minimum to no smell whatsoever, and you will be free to enjoy your new Douglas mattress! We did find one review that said this particular mattress had a bad smell to it, but we also found several that attested to no smell. We will leave it up to you to decide, but it should not be an issue. 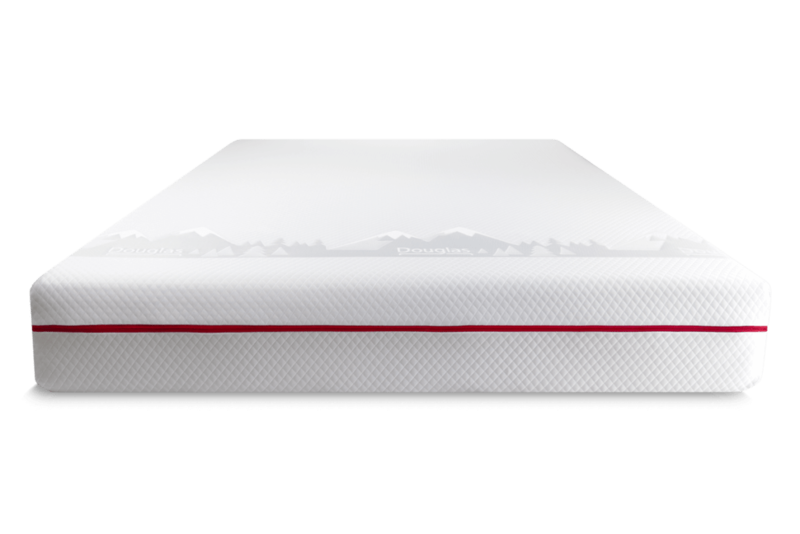 We gave the Douglas an 9.5 for edge support, particularly since edge support is usually a problem with memory foam beds and this one just doesn’t seem to have an issue. Well done Novosbed, you win this round. The top layer, or cover, of the Douglas mattress features Novosbed patented material technology. The Douglas Coolsense Cover is made from natural Eucalyptus Fabric of the companies design, and is specifically crafted to be light and breathable. What you are left with is a cooling cover layer that draws sweat from the body and keeps you cool all night long. The next layer is a two inch thick block of luxury Ecolight memory foam – again, this technology has been specially patented for this bed, adding another touch of finesse. The Ecolight foam has a much smaller carbon footprint than regular memory foam. It is lighter and less dense, meaning that you have a little more bounce and a little less sinkage than you might experience on a regular memory foam bed. It is noticeably just as durable as regular memory foam but, when combined with the bed-in-a-box packaging style, this companies awareness of the environment earned them an extra point here. 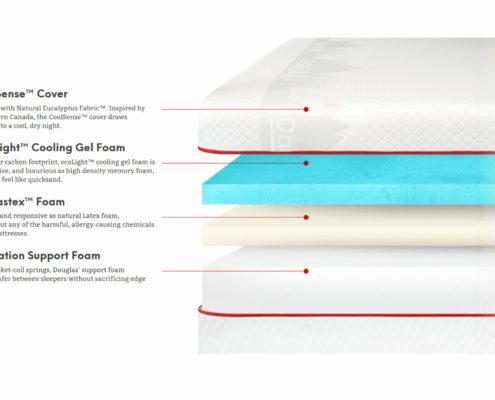 The third layer down is made from a two inch thick layer of Elastex foam, once more this is patented and specially crafted for this bed in particular, showing an almost overwhelming level of commitment to the end product that we love. Elastex is a substitute for Latex foam – which can be a nightmare to people with allergies. Lastly, this mattress sports a six inch layer of motion isolation support foam. 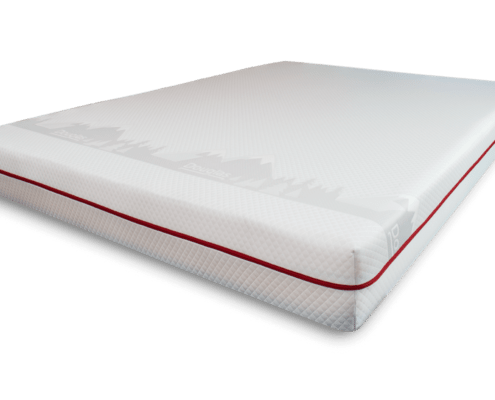 This support foam provides a firm base with a fair amount of bounce back when you lay down, and Novosbed are claiming that it is just as good as pocketed micro coils are at providing a little lift and stopping you from sinking into the bed. When it comes to materials the team at Douglas have made every single effort that it is possible to make to present an immaculately crafted end product. For this, their environmentally friendly appeal and all the patents that they have – we award them a super-rare 10 out of 10 for materials. A washable cover made with Natural Eucalyptus Fabric™. 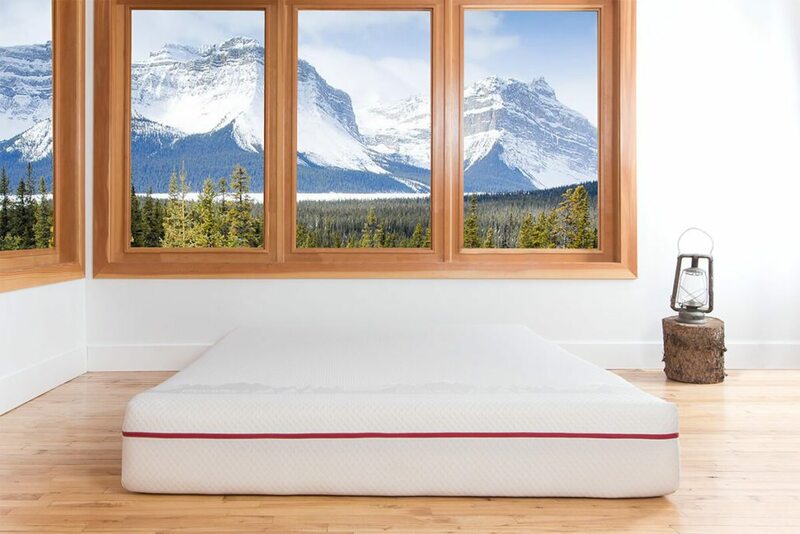 Inspired by the mountains of Western Canada, the CoolSense™ cover draws moisture away, leading to a cool, dry night. The Douglas will work great on any solid surface. The floor, platform slats, boxspring/foundation and they now offer an adjustable base as well. We had a good experience on the Douglas Mattress. I am generally one who prefers thicker mattresses but Douglas didn’t bottom out easily and had a good overall feel. I always use a mattress protector so some of the benefits of the cover may not have been noticed for me. The nice thing is now they offer a mattress protector that uses the same fabric as the mattress! The Douglas Mattress impressed me for the following reasons. A.) To me the overall build and quality was above average. It is a very good price for having some higher end features. For me the Douglas Mattress had a good medium feel. It conformed well even though I am light but still had good support for Ross who is heavier. Duglas slept cool (although i’m always cold) Ross will comment all the time if a mattress sleeps hot. That was not happening on this. I tend to like a soft mattress so I sink in a bit more but it felt nice even though its not uber soft. The top layer gives in and conforms very well for any weight. The cover of this mattress is made from the patented coolsense technology developed by the Novosbed team. It is made with the hot sleeper in mind, and forms a breathable barrier in which your sweat is absorbed and air is allowed to flow around the body as you sleep. It does not contain the pocketed coils of a hybrid mattress, meaning that more air has the potential to circulate you as you sleep. We couldn’t find any users who thought it slept hot, or that experienced a sweaty night while using the Douglas. The Douglas mattress seems to be a successfully cool product, as it states it will be. We had no option but to score them a 9 out of 10 for temperature. Of course, if you like a warmed bed then this is not the mattress for you. The Douglas being all foam will work great on an adjustable base. Mattress sellers tend to make some pretty wonderful offers to entice you into buying, and Douglas is no exception. We have found, while researching various mattresses, that the longer the trial, the more confident the company are in their product. So when Douglasoffered a 120 night risk free trial and a no quibbles return policy we were pleasantly surprised. Not only to they accept your decision not to buy with no questions asked; but they will donate the unwanted mattress to charity instead of reselling… you really can’t ask for more than that when it comes to service. The 120 night trial lets you try out your mattress through more than one season, and because of this coolant technology we would advise that you trial any ‘cold sleeping’ mattresses in the winter months to ensure your satisfaction. The company are also offering a ten year warranty with this mattress, which protects you against any material or workmanship issues which might arise – even though we are fairly confident there won’t be any. The company will not accept mattresses that are returned sooner than thirty days, which seems a little strange, given the exclusivity of other company’s offers. We have also seen a lifetime guarantee on other mattresses, so while the Logan & Cove can expect to score highly in this section it will not be a winning score. Douglas is a sister company of the Novosbed and Logan & Cove Mattresses. They are a Canadian company who ships the flagship bed to the USA. Currently the Douglas & Logan & Cove will ship only in Canada. The Douglas mattress starts at a very respectable and hard to beat $599 Canadian. Unfortunately it is mostly accessible to Canadians and those who live within delivery distance… but that doesn’t make it any less of a product. When compared to other ‘luxury’ foam mattresses this is one of the highest scoring in terms of price. We would not recommend this bed to anyone who likes a bounce, or to anyone who likes a warm mattress – but for everyone else this is an exceedingly good value for money mattress. As you can tell from the customer review section above; consumers were quick to start recommending it to their friends, and so we can only do the same, and pass that recommendation onto any of you who are looking for a high quality memory foam mattress. It’s not quite worth moving to Canada for… but it’s close.